Purchase this lot today and start building your Outer Banks Dream Home!Opportunity is knocking. You will be able to tell all your friends and family about your great real estate deal. 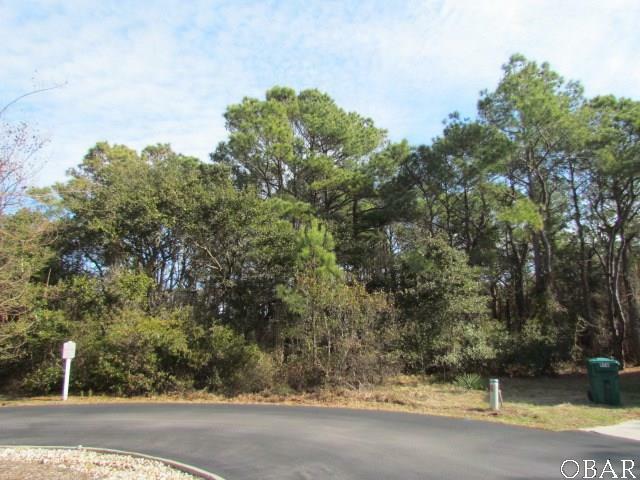 Build the home of your dreams on this lot that is just over half an acre. You should be able to build the home in the "X" flood zone. Lot is located at the end of the cul-de-sac. You and your guests will love all the association amenities that Monteray Shores has to offer, which includes an outdoor pool, outdoor tennis courts, playground, club house, basketball, sound side dock, fitness center, common area and ocean access. Monteray Shores is conveniently located to shops, restaurants and local attractions. Seller Financing available for qualified buyers.